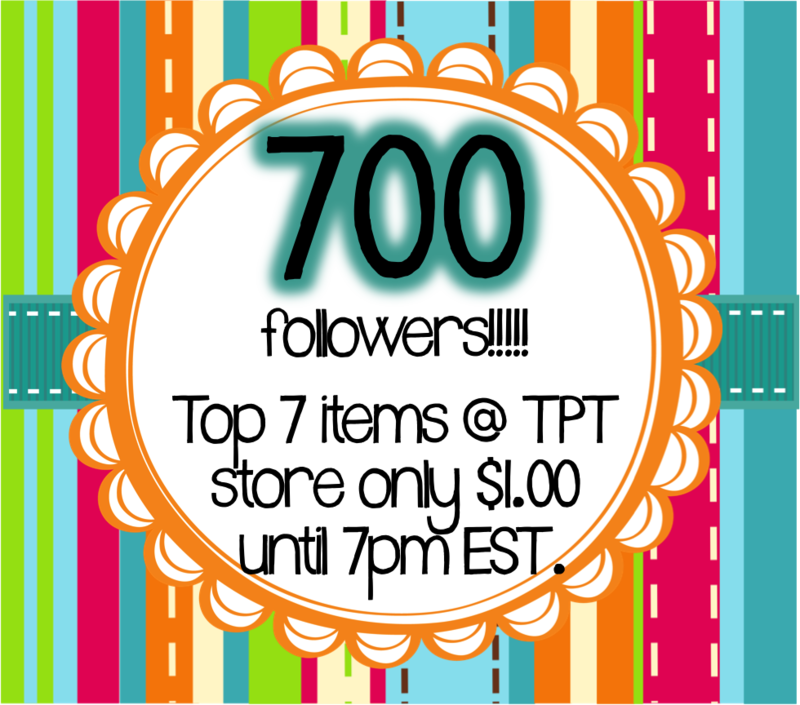 I have reached 700 followers on TPT... WOW! I am feeling so loved today :) OH MY! I want to thank you all for following this lil ol' blog of mine and my TPT store. To show my appreciation, 7 of my top sellers are only $1.00 until 7pm EST. Head on over and shop!! WOOHOO!!!! I think I'm just as excited as you are haha I'm now your 708th follower...you'll be at 800 before you know it!